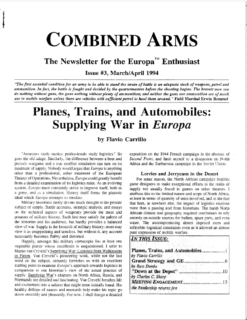 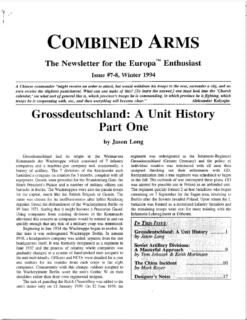 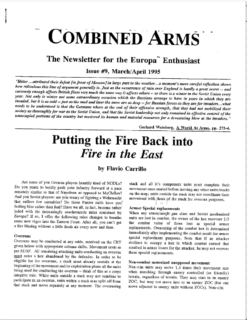 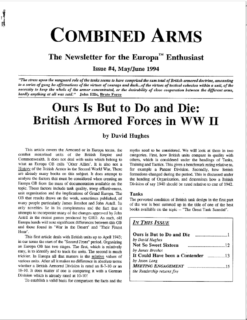 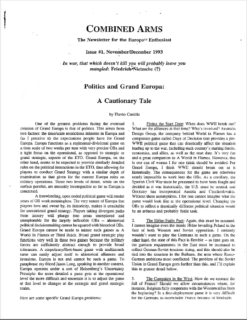 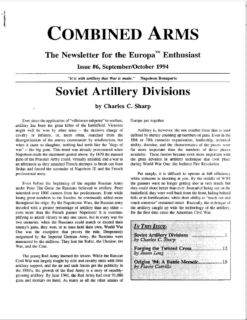 Combined Arms was an Europa Newsletter by Flavio Carillo, published 1993-95 in Letter format and usually running between 14 and 16 pages. 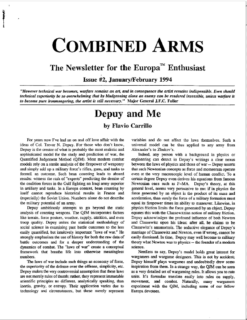 Despite its short run, contributions by well-respected Europa designers such as Jason Long and Charles C. Sharp and its thoughful tone made sure Combined Arms exerted a profound influence on the Europa community way beyond its lifespan. 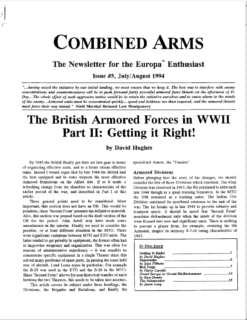 A lot of concepts discussed were later added to Europa or Great War-games.